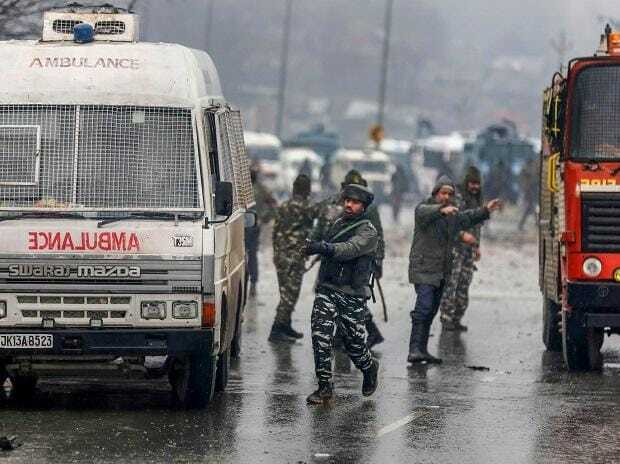 Countries from across the globe, including the US, Russia, Australia, France, Saudi Arabia, Sri Lanka and Bangladesh, have condemned the brutal Pulwama terror attack carried out by Pakistan-based terror group Jaish-e-Mohammad (JeM) and extended support to India in the fight against terrorism. Condemning the attack, Russian President Vladimir Putin Friday said perpetrators and sponsors of the attack should be brought to book and reiterated his country's support for further strengthening counterterrorist cooperation with India. "I would like to reiterate the readiness for further strengthening counterterrorist cooperation with Indian partners. In Russia, we share the grief of friendly people of India and hope for speedy recovery of the injured," he said. In a stern message to Pakistan, the White House has asked Islamabad to "immediately end" its "support" to all terror groups and not to provide "safe haven" to them. "The US calls on Pakistan to end immediately the support and safe haven provided to all terrorist groups operating on its soil, whose only goal is to sow chaos, violence, and terror in the region," White House Press Secretary Sarah Sanders said in a statement. "This attack only strengthens our resolve to bolster counterterrorism cooperation and coordination between the US and India," she said in the statement issued by the White House. Australia's political leaders also condemned the "heinous" terror attack. "We convey our deepest condolences to the families of the victims, and all those injured. Our thoughts are with my friend Prime Minister @narendramodi and the Indian people," Prime Minister Scott Morrison tweeted on Friday. Opposition leader Bill Shorten said it was an atrocious attack. "To the family and friends of the soldiers killed and injured - we send our deepest condolences, support, and hope for a timely recovery for the injured," he said in a statement. Saudi Arabia said it stood with India's fight against terrorism and extremism and denounced as "cowardly" the suicide attack. The UAE's Ministry of Foreign Affairs and International Cooperation said in a statement that the country "condemns this terrorist act", and reiterated the country's "principled and unequivocal position rejecting all forms of violence and terrorism". French Minister of Europe and Foreign Affair Jean-Yves Le Drian extended support to India, saying France has always been and always will be by India's side in the fight against terrorism in all its forms. "I most firmly condemn the heinous attack just perpetrated in India. My thoughts go out to the families of the fallen soldiers and my deepest solidarity to the Indian government and people. France has always been and always will be by India's side in the fight against terrorism in all its forms." " I call on every State to fight effectively against terrorist networks and their financing channels and to prevent cross-border movements of terrorist groups, such as the Jaish-e-Mohammed, which has claimed responsibility for this attack," Drian said. Nepal said its unequivocally condemns terrorism in all its forms and manifestations and believes that such heinous acts of terrorism cannot be justified on any ground. Condemning the attack, Maldives Preseident Ibrahim Mohamed Solih tweeted that the Maldives will continue to work with India and the international community to combat terrorism in our region and the world at large. Bangladesh Prime Minister Sheikh Hasina said, "Bangladesh remains steadfast in its commitment against terrorism of all forms and maintains a zero-tolerance policy against any kind of terrorist activities. We would continue to work and cooperate with international community including India to eradicate menace of terrorism," Hasina added. Bhutan Prime Minister Lotay Tshering, tweeted, "Bhutan is deeply saddened by the news of the horrific terrorist attack in Kashmir. Bhutan strongly condemns terrorist attack of any nature. Our prayers are with the grieved family and we are following the situation closely." China also expressed deep "shock" over the terror attack carried out by the Jaish suicide bomber. "China has noted the reports of suicide terrorist attack. We are deeply shocked by this attack. We express deep condolences and sympathy to the injured and bereaved families," spokesman of the Chinese Foreign Ministry Geng Shuang told a media briefing in Beijing when asked about the incident.